For the past three years, I have plunged into the wilderness of creativity and wrist pain that is National Novel Writing Month (better known as NaNoWriMo). If you haven’t heard of NaNoWriMo, it’s a worldwide movement of literary minded folks where you attempt to write 50,000 words of a novel in just 30 days. If it sounds crazy, that’s because it is. I’ve never made it to the 50,000 mark, not once. A lot of people don’t, but the point is to try to write a crappy first draft, not a perfect one. It’s a noble goal, but not one that I’m pursuing this November. Here’s why. In my past attempts to cross the 50,000-word mark, I’ve had a lot of free time on my hands. In college, you’re frequently faced with awkward blocks of free time between classes and work. College is bursting with opportunities for a young aspiring novelist to write. Every building on campus has a suitable place to sit with your laptop and type away. November is also the perfect month because it’s right between the chaos of midterms and the chaos of finals (not to mention it has a 3-day weekend and a 4-day weekend built in to help you bulk up your novel). If you’re still in school, you’re already doing crazy things — why not add a novel-in-a-month? I’m lucky. I get paid to write. Fully 50% of my income is generated by freelance projects. So, when I do find those times to write, I need to spend them wisely. I could blow off my commitments and write a novel, but first drafts don’t pay the heating bill. Articles and press releases do. When writing becomes your job and not just your hobby, its hard to add personal writing on top of the mountain of professional writing that you already do. NaNoWriMo is a fantastic way to jump start your creative juices when you otherwise wouldn’t write. The mad rush of trying to get it all done in such a small amount of time forces you to write without editing, which is really great for unleashing your inner storytelling genius. It works, trust me. You will be amazed at what you come up with while trying to meet that daily quota of 1,667 words. But I’m not in a writing rut like I have been in past years. I’m actually in the middle of writing a novella. In fact, I’m making excellent progress. It may not be a novel, but I think it has potential. It doesn’t make sense to interrupt my momentum — you don’t throw off the emperor’s groove. I’ve always struggled with seeing a story all the way to its conclusion. I think I can do it this time and finishing this is more meaningful to me than starting a novel that I will later abandon. If you’re rounding the corner of 18,337 words today, I’m cheering you on. You’re on an incredible adventure. I wish you success. If you’re behind your word count, you are just like me. Keep going, even if you spend page after page describing the blueish gray hue of your protagonist’s eyes. Your goal is not perfection. Just get something down — editing is for December. 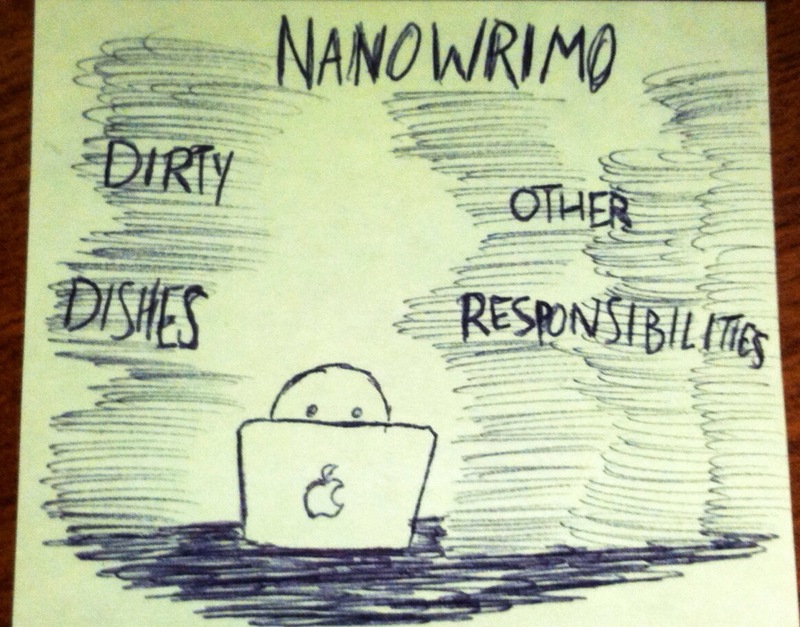 If you aren’t doing NaNoWriMo, you should try it. It unlocks potential you never knew you had. I’m not down in trenches of NaNo this year. But I have my reasons and I think they’re good ones. Next year, if I’m more settled and have some time on my hands, I’ll take the plunge again. Write on, Wrimos. Write on. Jonny Eberle is a writer in Tacoma, WA. You can follow him on Twitter and read his articles on foreign relations on Grey Cell. Thanks for reading! Before last week, the last time I attempted to paint was more than ten years ago. I was a lonely middle schooler who refused haircuts and I thought I was an artist. I dabbled in words, graphite, clay and paint in a desperate attempt to express myself. It was only after a few ruined canvases (and one bookcase) that I realized I was a writer, not a painter. Some people are visual artists. They can create beauty from physical objects; with their bare hands. They can draw or sculpt or paint. It’s an amazing thing to watch. But I am not one of them. I craft words and spin stories. Then, ten years after throwing out my brushes, I found myself involved in a church project to paint pieces to hang in the local men’s homeless shelter. And so, for the first time in years, I put a brush to canvas. I painted for two days in contemplative silence. It was peaceful and centering. The end result is no masterpiece, but I like it and I can’t help but think that I’d like to try again. So often, we get discouraged by our early failures. Maybe if we stuck with it when others might quit, we’d discover talents we never knew we had. Pick up a brush or a pencil and give it a shot — you might just surprise yourself. I’m a writer, photographer and connoisseur of art and pizza. I paint word pictures on Twitter, where you can call me @jonnyeberle. Thanks for reading! This morning, I went downstairs to the kitchen for a bowl of yogurt and granola. I dashed down the stairs and threw open the fridge. And what to my wondering eyes should appear, but everything in my refrigerator frozen solid. I had a few choice words for the infernal device and had to settle for a handful of dates as I ran out the door. Sometimes, life just isn’t fair. But there is a silver lining. Somewhere at some time in the future, this terrible tragedy will manifest itself in my prose. It will probably be late on a hot summer night. I’ll be staring at my computer screen, a cold beverage sitting discarded on the desk beside me, a look of helplessness on my face. I will have written myself into a corner (future perfect tense and all) when suddenly, from the dusty recesses of the memory vault in my brain, I’ll remember the infamous Frozen Fridge Incident of 2012 and tragedy will give rise to creative genius. Writers are the only people I know who benefit from their own failure. When some people would get angry or humiliated, the writer shrugs and says, “Oh, well. It’s all going in my novel.” The more we screw up, the better our source material is when he eventually sit down to pen the next Great American Novel (or play or screenplay or short story, or what have you). In my view, you have to fail in life before you can succeed as a writer. 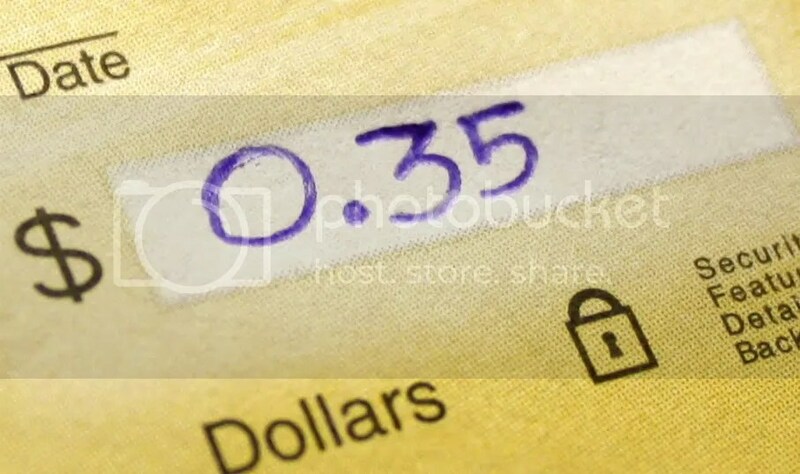 You have to write a check for thirty-five cents before you can write about poverty; you have to get your heart broken before you can write about love. It’s those very experiences most people hate that yield the most beautiful words after the fact. So, if you really want to be a writer, you need to be out in the world, not holed up in your room with your laptop. You’ve got to experience it all, the good and the downright crappy. Get roughed up by the world and your storytelling will be more authentic. Sometimes, you’ll hate it. 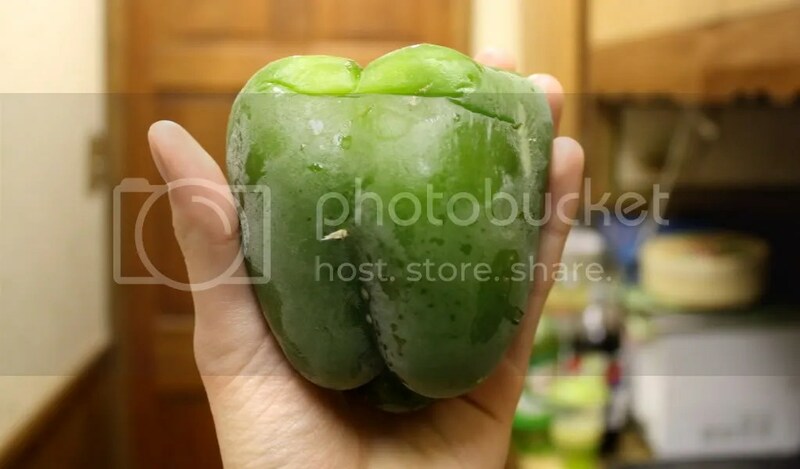 Sometimes you’ll drag a recliner up a spiral staircase by yourself or throw up on the front lawn of the County Courthouse…and sometimes you’ll seriously debate eating a frozen bell pepper. But when it finally flows out onto the page, it’ll all be worth it. Go ahead, leave a comment. But don’t stop there. Help me prove my middle school years wrong and follow me on the Twitter machine!